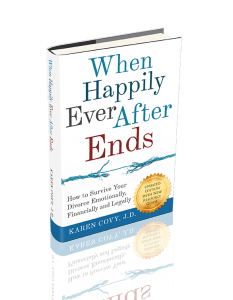 Whether you are just starting a divorce, or are mired in the middle of one that seems like it will never end, you probably have a lot of questions. While I can’t answer all of your divorce questions here, I can at least give you some basic information. Hopefully that will help clear the fog a little bit. While it is impossible to predict how any divorce will go until it is done, certain things can make your divorce go more smoothly. Two of the most important things you can do if you want an amicable divorce are to deal with your emotions and understand the divorce process. A divorce coach can help you do both. To get even more information about how to get through your divorce in the best way possible, CLICK HERE to discover the 7 Keys to a Successful Divorce. 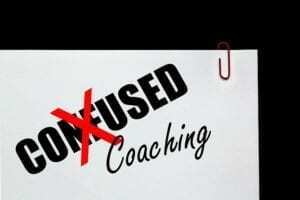 What is a Divorce Coach and Why do I Need One? A divorce coach is a trained divorce professional who can help educate you about divorce and guide you to make the best decisions for yourself and your family. A divorce coach will help you identify your goals, and establish a plan for how to achieve those goals. S/he can help you figure out productive ways to communicate with your spouse. A divorce coach can also help to prepare for mediation, negotiation, or trial. Most of all, a good divorce coach will help you stay focused on what matters most. To find out more about divorce coaching, CLICK HERE. The days when you couldn’t get a divorce unless both spouses agreed, or you could prove that your spouse was at fault in causing the marriage to break down are long gone. If you don’t want a divorce, but your spouse does, you can make the divorce take longer, or you can make the divorce cost more, but you can’t stop it. What Divorce Process Should I Use? The first question you need to ask yourself if you are facing divorce is: HOW do I want to get divorced? In other words, you need to know which divorce process you will use. Today, you have many choices. The easiest, cheapest, and fastest way to resolve your divorce issues is to negotiate a settlement directly with your spouse. 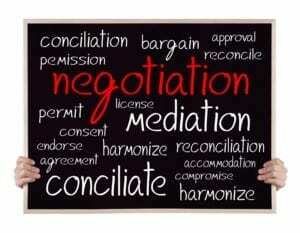 Once you have negotiated a settlement, you can use a lawyer to draw up your divorce documents. The lawyer can also get you through the court system. 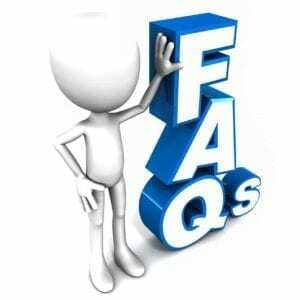 If you prefer, you can have the documents prepared online and struggle through the court system yourself. Or, you can try to write the documents them yourself. (HINT: Unless you are a lawyer, that’s usually a bad idea!) Whatever you choose, remember, there is a reason lawyers go to law school. If it was easy to get through the court system alone, everyone would do it. They don’t. Not everyone is able to negotiate directly with their spouse. If your spouse won’t talk to you, or if every conversation you have turns into a screaming match, negotiating your divorce on your own won’t work. In that case, you can consider using divorce mediation to come to a settlement. A neutral mediator can help you reach an agreement. Your lawyer will then incorporate that agreement into your final divorce documents. Then you get a judge to finalize your divorce, and you’re done. 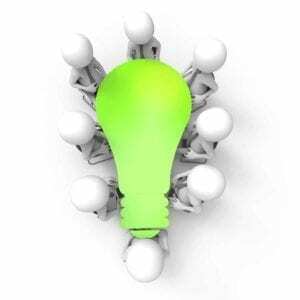 Another divorce process you can use is Collaborative Divorce. In Collaborative Divorce you work with specially-trained divorce professionals to help you resolve your divorce issues outside of court. All of you sign an agreement that requires you to stay out of court, except to have a judge finalize your divorce. Once you have settled your case, the lawyers draft your divorce documents, and walk you through the court system to finalize your divorce. Yet another divorce process you can use is divorce arbitration. In this divorce process an arbitrator, who is like a private judge, will decide your case. (NOTE: You and your spouse have to hire, and pay for, the arbitrator.) Once your case is decided, your lawyers will then take the arbitrator’s decision to court. A judge will then finalize your divorce. 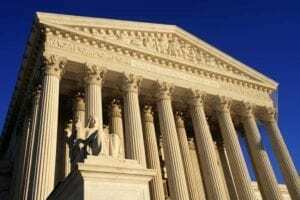 You can arbitrate your whole case, or just one issue in your case. 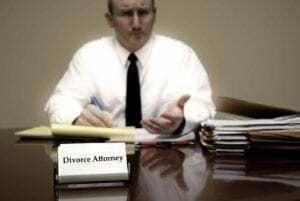 The final divorce process is divorce litigation, also known as “fighting in court.” This is the traditional way to get divorced. You and your spouse each get lawyers (or not). Then you file your case in court. You fight. Eventually you either try your case or settle it. There is also one “divorce process” that is not a real process at all: online divorce. (… and I’m not just saying that because I’m a divorce lawyer!) 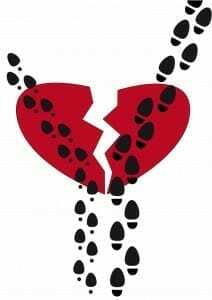 To find out more about what online divorce is really all about, CLICK HERE. No. You don’t. You can get divorced without using a divorce lawyer. The better question, though, is: Should you? While it is not always easy to find a good divorce lawyer, unless you have no money, no children, no retirement account and no real estate, you need legal advice. If you can’t afford it, you do not have to retain a lawyer to represent you throughout the case. But, at the very least, you should hire an attorney to consult with you and advise you about your case. You should also have your legal documents professionally drafted. To learn more about how to keep your divorce legal fees low, CLICK HERE. Where Do I Get Divorced? In general, you will get divorced in the state you live in. Each state has different divorce residency requirements and which govern exactly where you will file for divorce. Each state also has different rules of jurisdiction that specify how long you have to live in that state before you can get divorced. Should I Get Divorced Based on Irreconcilable Differences? In order to get divorced, you need grounds for divorce. Those grounds vary from state to state. One ground for divorce that exists in some form in every state is irreconcilable differences, but most states have many grounds for divorce. (Illinois, however, now has only one ground for divorce: irreconcilable differences.) In many states, the ground for divorce that you use does not affect your case at all. In other states it does. Check with a lawyer in your area to determine the best ground for divorce that you can use. How Long Do I Have to Be Separated From My Spouse Before I Can Get Divorced? Whether you need to be separated from your spouse for a certain amount of time before you qualify for divorce, and the length of time you need to be separated depends on the law of the state where you live. In Illinois, you can now get divorced based upon irreconcilable differences at any time if you and your spouse agree. If you and your spouse do not agree, then you must live separate and apart from your spouse for 6 months. After that you can get divorced. If I Get Sole Custody of My Kids, Can I Do What I Want Without Having to Ask My Spouse? Maybe … and maybe not. First of all, not all states still use the word “custody.” Some states, like Illinois use the term “parental responsibilities” rather than custody. One of the parental responsibilities is to make major decisions for your kids. Similarly, if you have sole legal custody of your kids that means you have the right to make major decisions for them. Even if you have the right to make major decisions for your kids whether you have to ask your spouse for his/her input will depend on how your Divorce Judgment and Parenting Agreement are written, and the laws in your state. If My Spouse Doesn’t Pay Child Support, Do I Still Have to Let Him/her See the Kids? Absolutely, yes. Every parent has a right to have parenting time (i.e. to spend time with his/her children), even if s/he is not paying child support as ordered by the court. That doesn’t mean that parents aren’t obligated to support their children. They are. If you don’t pay court-ordered child support, you can be found in contempt of court. But, visitation, (a/k/a parenting time), is not tied to whether or not a parent actually pays the child support s/he is supposed to pay. I’m Already Paying Child Support. Why Do I Have to Pay for Other Expenses for the Kids Too? In addition to paying child support, non-custodial parents may also have to pay or contribute to some of the other children’s expenses. For example, parents will have to maintain medical insurance for the kids, and contribute to their children’s uncovered medical expenses. Both parents may also have to contribute to the children’s educational expenses and extra-curricular activities. The exact expenses that you will have to pay for depends upon the law in your state and the terms of your Divorce Judgment. Am I Going to Have to Pay Alimony? If So, How Much and For How Long? Each state’s laws regarding alimony (also known as maintenance or spousal support) are different. Some states, like the state if Illinois, have maintenance guidelines . Those establish a formula that determines both the amount of maintenance and the length of time that maintenance is paid. Other states have no guidelines. Instead, they have a list of factors that a court must consider when deciding whether to grant maintenance. To figure out if you are going to have to pay (or be entitled to receive) maintenance, consult with a divorce attorney in your area. 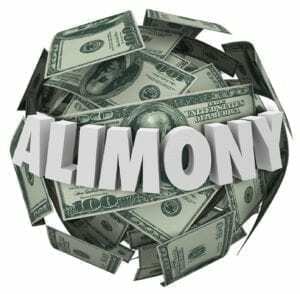 Can I Get Alimony While the Divorce is Pending? In general, courts can grant you temporary support while the divorce is pending. However, not only do state laws vary widely, but whether you receive spousal support, both while your case is pending and after it is done, depends on where you live, and what judge hears your case. An attorney in your area can help you determine the chances of your getting maintenance/support before your case is over. S/he can also help you figure out your chances of getting ongoing spousal support after your divorce is done. Do I Really Have to Give My Spouse Half of Everything? Maybe. If you live in an equitable distribution state, you will have to split your marital property “equitably,” which essentially means, fairly. That may mean you divide your marital property equally. Or, it may mean that you divide it in some other proportion. In general, you do not have to divide your non-marital property. In community property states, your community property is generally divided equally, but your non-community property is not. The only way you can know for sure how your property will be divided is to consult with a local divorce lawyer. My Spouse Has a Lot of Debt. Do I Have to Pay That? Maybe. 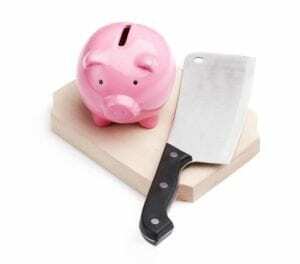 How debts are divided during a divorce depends on whether they were incurred before the marriage or during the marriage. While you generally are not responsible for your spouse’s non-marital debts, you may very well be ordered to contribute toward the payment of any marital debts you have incurred, even if your spouse, not you, incurred them. That rule is not absolute, though. To figure out what debts you may be responsible for paying after your divorce, you need to consult with a divorce attorney in your area. Divorce is complicated. You probably have lots of other divorce questions, including what documents you will need in your divorce.